The news took the world by surprise: a letter that had traveled 5,600 miles from China to a small town in Oregon. In November 2012, inside a Halloween decoration kit she purchased years ago at Kmart, Julie Keith found a handwritten letter enclosed inside. 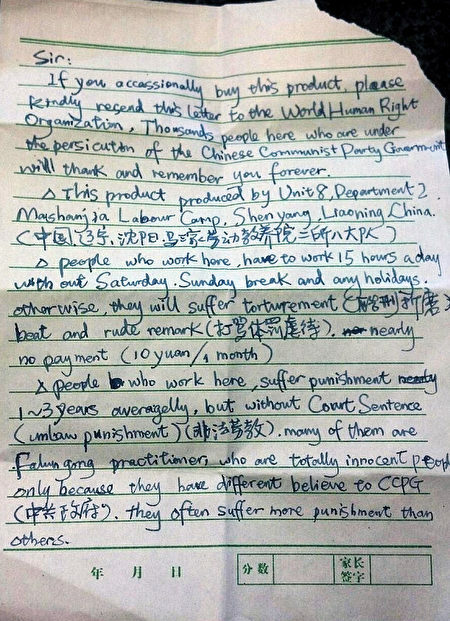 The letter came from a person detained at the notoriously brutal Masanjia Labor Camp in the northern Chinese city of Shenyang, who had written a plea for help: “please kindly resend this letter to the World Human Right Organization [sic],” it began. The person described harsh conditions—15-hour work days without any break on weekends or holidays, torture, and verbal abuse. After Keith posted a photo of the letter on Facebook, media outlets picked up on the story, shining an international spotlight on human rights abuse in China. That person revealed his true identity years later, when he had successfully escaped China. 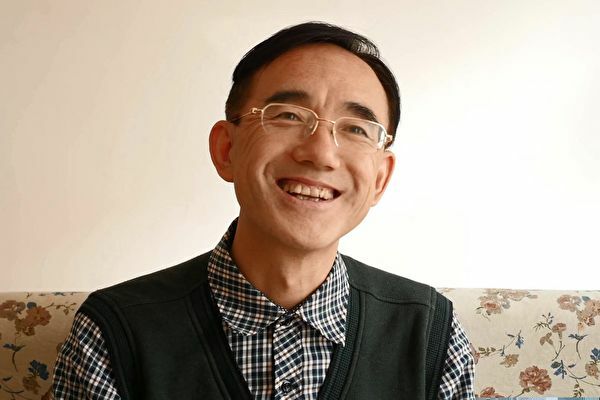 Born on Oct. 9, 1966 in Taiyuan City, Shanxi Province, Sun Yi was an engineer working in Beijing. But because he was a practitioner of an ancient spiritual discipline known as Falun Gong, police authorities hunted him down. Since July 1999, the Chinese regime has persecuted millions of adherents across the country with arrests, imprisonment, and torture, according to the Falun Dafa Information Center, the press office for Falun Gong. Sun was detained at brainwashing centers, detention centers, and labor camp a total of eight times because of his faith. By the time Keith discovered the letter, Sun had already been released from labor camp. But Sun continued to get harassed by police, causing his wife to worry constantly for his safety. In Dec. 2016, Sun successfully fled to Indonesia. In March the following year, he met with Keith in Indonesia. Just days before his 51st birthday, on Oct. 1, Sun Yi passed away at a hospital in Bali, Indonesia. The hospital said he died of kidney failure. He was 50 years old. However, his family said he never had kidney health problems. They claimed that the hospital did not give concrete details about his death and rushed to have his body cremated. They are concerned about the possibility of foul play. 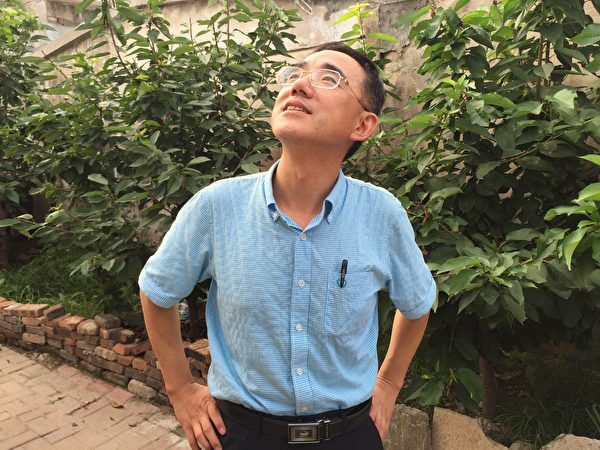 Before his death, Sun left behind audio and video clips describing his experience while imprisoned at Masanjia. At the labor camp, Sun and his fellow inmates were tasked with making little plastic ghosts and foam headstones, working 15 hours a day for a meager 10 yuan (around $1.50) a month. He was also tortured. He was handcuffed to a hospital bed for hours in uncomfortable positions. Guards also used a medical tool used to pry open his mouth, and would spit and throw cigarette butts into his mouth. 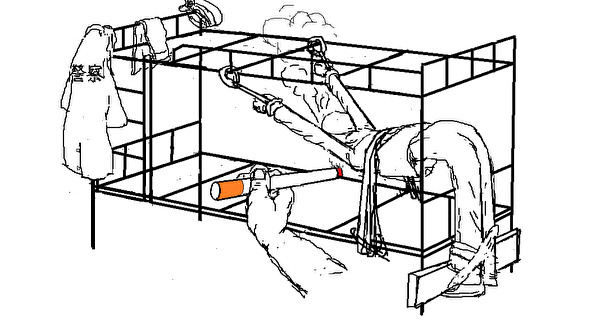 Another torture method was forcing him to stand in an awkward position, with his legs and arms tied to the frames of a bed. One time, Sun was strapped for 168 hours straight. Inmates are not allowed to own any writing implements. But one inmate, who bribed a guard to obtain a pen, lent it to Sun. In the middle of the night, he would secretly write up letters and stuff them into products that seemed destined for Western countries. He hoped one of them would reach a kind-hearted person abroad. In August 2010, he was released from Masanjia. A few months after news broke about Keith’s letter, a Chinese magazine, “Lens,” published an expose about the horrors inside Masanjia. The international attention pressured the Chinese regime to abolish the labor camp system in Nov. 2013. 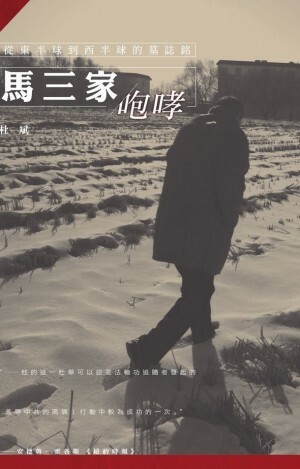 In Dec. 2014, the Chinese photojournalist Du Bin, who published a series detailing the torture and treatment Masanjia prisoners faced, released an account of Sun’s experience. “He was among the most severely tortured in Masanjia,” Du wrote. The public exposure of the Chinese regime’s crimes put the target on Sun’s back. His home was repeatedly ransacked by police. He had to flee his home and live on the run, constantly carrying a razor and toothbrush with him so he could wash up wherever he went. In Nov. 2016, he was abducted by police. He was released several days later, but Sun’s wife became incredibly worried for his safety, on the verge of a nervous breakdown. Sun decided it was time to leave the country. On Dec 6, 2016, he arrived at the Beijing airport, and successfully passed customs without the Chinese authorities’ detection. He bought himself an ice cream cone to celebrate—he had finally escaped the invisible prison of the country he lived in. He left the world quietly in October 2017, but people will remember his story for years to come. His life came to reflect the meaning of his Chinese name: being firm and resolute. Su Mingzhen contributed to this report.